Great-tasting and nutritious 1200 calorie food ration that is great for the one-day meal. Now in a case of 36 bars for your extended needs. All our food rations are baked under strict supervision and all have that great taste of apple cinnamon. 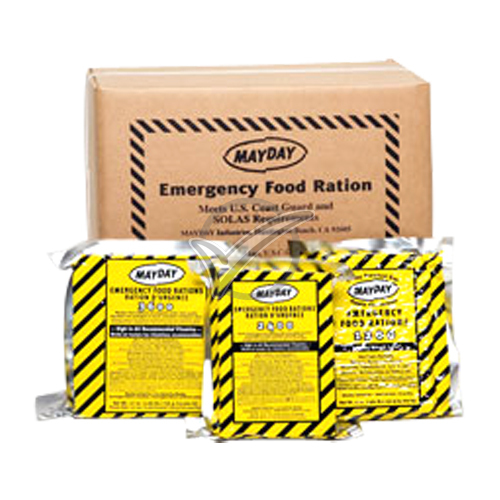 Mayday food rations can be stored outside up to 149 degrees (°F) and can be eaten without preparation.